Mulch is a great material to lay out on the soil Muto keep moisture levels high. Most gardeners use this to enhance the health of the soil and to, eventually, yield healthy and abundant fresh produce. One drawback is that it could stain a concrete driveway, especially the colored mulch variety. When the mulch is new and the rain pours, the color washes off and flows to the driveway. The stain is quite visible and definitely looks unpleasant. 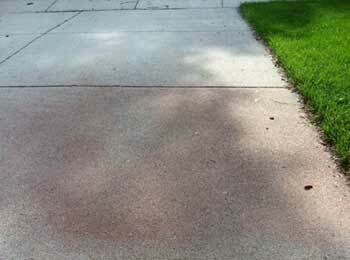 If you find mulch stains on your driveway concrete, worry not. There is a proper way of dealing with it. When something nasty sticks on the driveway, the first instinct is to power wash it away, right? This should not be. Power washing may remove some of the stains but most of it will be pushed further into the concrete, causing stains that will b a lot more difficult to remove. Both have an antiseptic property that can help wash off the stain. Apply it on the surface and brush it in circular motions. Rinse it off gently. If the stain is stubborn, use two caps of bleach and mix it with two gallons of water. Scrub this into the stain using circular motions and leave it for about half an hour before rinsing. If all else fails and the stain is still bothering you, apply a concrete stain to disguise or cover up the stain. You can choose between acid and water-based stain. The acid stain creates random effects while the water-based type provides a more uniform color all throughout the surface. 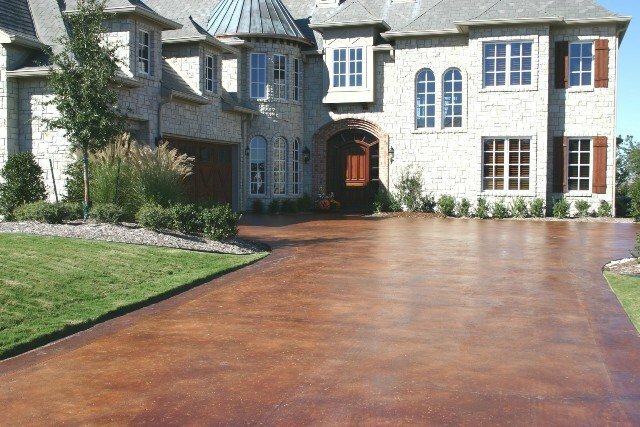 There is a wide selection of colors to choose from, from earth tones to pastels, so you will surely find one that is most suitable for your concrete driveway. Make sure to seal the surface properly to protect the stain and the entire slab from damage. When rains pour often and heavily, refrain from laying out mulch for the meantime. The flow of water makes staining more likely to occur. Besides, your soil would have all the moisture it needs from the rain. If you really need the mulch, lay it out on areas that are far from the driveway or any other concrete surface outdoors.